Despite dominating long periods of the 2nd half, it was a below par first half performance that ultimately proved to be the our undoing at a very cold Mounthawk Park on Saturday afternoon. Camp came flying out of the blocks from the kick off and did a lot of pressing for the opening twenty minutes, This forced us into a rear-guard action and they relied on some isolated counter attacks to get up the pitch. Camp were rewarded for their strong start and initiative when a speculative free kick found the top left hand corner of the Tralee sides net. The remainder of the half saw an improvement with a Ryan Guerin header coming close just before the break. The 2nd half saw a much improved performance. Our lads started to string some lovely passing moves together from back to front and in particular got a stranglehold in midfield. However, a combination of some wayward finishing and stout Camp defending kept the 1 goal deficit. This deficit was doubled 15 minutes from time when the we were caught napping as an excellent Camp counterattack resulted in a neat finish after a sweeping move down the left. Our lads, as in Tulla the week before, refused to accept defeat and immediately were back on the front foot and received some reward when a long range strike from Shoun Kedzierski found the roof of the net. The last 10 minutes of the game were played in the oppositions half, but try as they did, the equaliser eluded us. Final Score Camp Juniors 1, Park A 2. 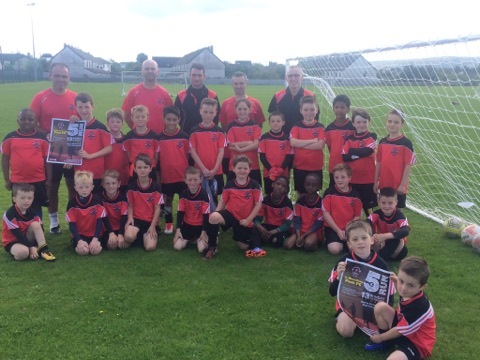 Best of luck to the Camp team in both their upcoming SFAI Regionals qualifier and last 32 matches. 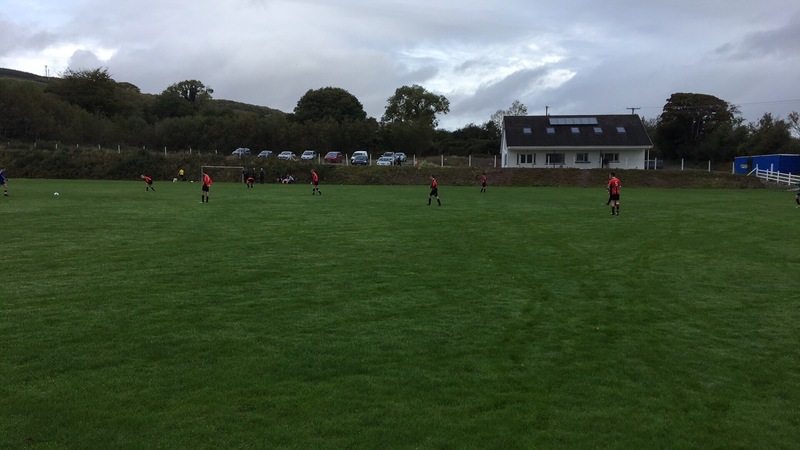 Park U15s made the long trip to Kenmare on Saturday morning last with hopes of back-to back victories following their National Cup win a fortnight ago. 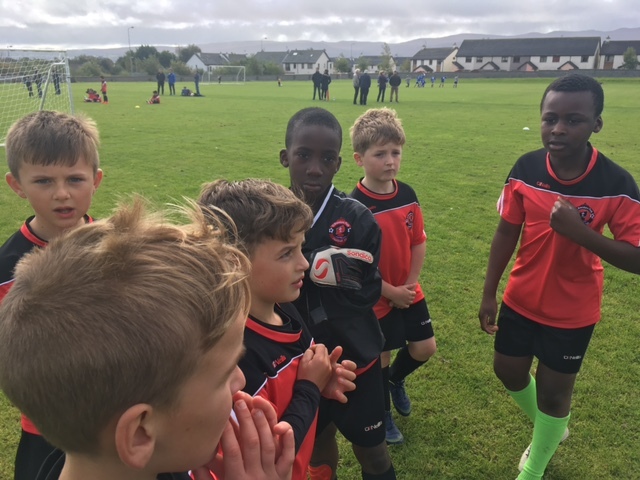 Shorn of the services of John O’Connor, Earnan Ferris and Adam Sheehy through injury, the club’s U14s helped out and Messiah Chirwa, Cianan Cooney, Colin Doody and Ben Hanafin were drafted in to bolster the squad, which also featured new signing, keeper Gavin O’Brien. Park started well and were very comfortable in possession, especially when building from the back, where James Charles was very accurate in possession and he was ably supported by Marc Brick and Adam Walker who were very solid throughout. Leon Gallagher and Jack Twamley were controlling midfield, with Dan Fisher and Sean Kedzierski raiding down the flanks and David Callaghan a threat in behind the homesters defence. The pressure paid off when a typical Park move split the Inter defence and when the ball broke to Cianan Cooney 12 yards out, he smashed in high into the net to give the Tralee lads a deserved lead. Kenmare refused to buckle however and were right back in the game shortly after, when a long-range shot eluded Gavin O’Brien to level matters. It was nip and tuck from there to half time although Park had just about regained the initiative with the introduction of Chirwa, Doody and Hanafin. On the resumption, Park regained control, particularly with the introduction of Darragh Walsh into central defence where his pace and strength were clearly evident. This also released warrior captain Ryan Guerin into midfield where he immediately stabilized proceedings and was complimented by the re-introduction of Gallagher who started to pick holes in the Kenmare defence with his range of passing, which continually released the dangerous Doody down the right flank. Matt Healy also entered the fray and gave the visitors another option down the opposite wing. The pressure finally told when Chirwa picked out the mercurial Cooney’s superbly timed run with an exquisite pass inside the box and he made no mistake to make it 2-1 to Park. In fact, Cooney was only denied a hat-trick when his 20-yard shot came back off the crossbar with the keeper beaten. To their credit, Inter never gave up and pressed to the finish, but with Walsh rock-solid, Charles and Hanafin steadfast while also carrying the ball out of defence and Twamley and Walker back in the action to reinforce the rearguard, Park saw the game out impressively to claim the spoils. Special thanks to Ken, Dominik, John Walker, Con Healy, Andy “coffee” Fisher and Denis ”The Boxer” Hanafin for providing transport. A rousing Cup tie that had everything was witnessed on Saturday afternoon at the KDL. In very wet and windy conditions, both sides gave us great entertainment and could not be separated after full time or even after extra time. A new look Park side started confidently and soon began stringing passes together, creating some early opportunities. Mungret however soon came to grips with the game and posed a threat in and around the Park penalty area. Park however, opened the scoring, when after a goalmouth scramble, Ryan Guerin neatly finished from close range. Ryan was excellent at centre back ably assisted by Adam Walker, Darragh Walsh and Marc Brick. Somewhat against the run of play, Mungret got back on terms with a speculative effort and the sides went in 1-1 at the break. Mungret started brightly in the 2nd half. It was a great battle in the middle of the pitch with great performances from Adam Sheehy and Jack Twamley who worked tirelessly. Going forward, Dan Fisher, Cianan Cooney and David O’Callaghan were proving a real threat with John O’Connor expertly leading the attack. Mid way through the second half, Mungret edged in front and were beginning to dominate possession. However, this Park side refused to yield and 10 minutes later a superb John O’Connor finish made it 2-2! For the remainder of normal time it was end to end in a game that could have gone either way and indeed Liam Carmody was called upon to make some excellent saves. Extra time arrived and if anything, the Park boys raised their game further, This was helped by the arrival from the bench of Conor Kerins, Matt Healy, Ben Hanifin and James Charles, all making a massive contribution. After over an hour and a half of football, the referees whistle went and the sides were locked at 2-2! The dreaded penalty shoot out arrived. Ryan Guerin, Dan Fisher and David O’Callaghan found the net. Mungret scored their first penalty, however Liam Carmody denied them on 3 occasions and it would be the Park who would progress to the 3rd round! The Management Committee have decided that the Registration Fee payable per each player for the coming season will be €100, with training/match fees maintained at last season’s amount of €140, so the total cost per player for the full season is €240. We are pleased to announce that the above fees include a Park F.C. branded O’Neills triton windcheater. The fees will be used to pay Registration and Affiliation fees with both the Kerry Schoolboys/Girls League or the Kerry District League (adults), Player Insurance, electricity bills for our floodlights, as well as Referee’s fees, kit-washes etc. The discounted Registration Fee for a second family member is €60, with discounted training fee €70.
? Three instalments of €80 payable by Friday 29th September, Friday 24th November and Friday 23rd February 2018. The discounted Registration Fee for a second family member can be paid in instalments of €40, €40 and €50 by the above dates. Please note that the Management Committee have decided that a player is ineligible to train and therefore ineligible for selection if the Registration Fee is not paid in full by 29th September or by the above dates if paying by instalments. A Registration night will be held for each squad during the coming weeks in advance of the first deadline on 29th September (on training nights where possible). Team Managers will advise you of the details. Two further Registration nights will be scheduled in advance of Friday 24th November and Friday 23rd February 2018, to facilitate those who wish to pay in instalments by cash/cheque. The Club is aware that the start of the football season coincides with that time of the year which places a burden on family finances in particular, but we believe that our fees are very good value for money for the service we provide and compare favourably with those of other sporting organisations. We also hope that the instalment option will help. Should you have any queries regarding this letter, please contact the Club Registrar at the number below (outside office hours), or any member of the Management Committee.